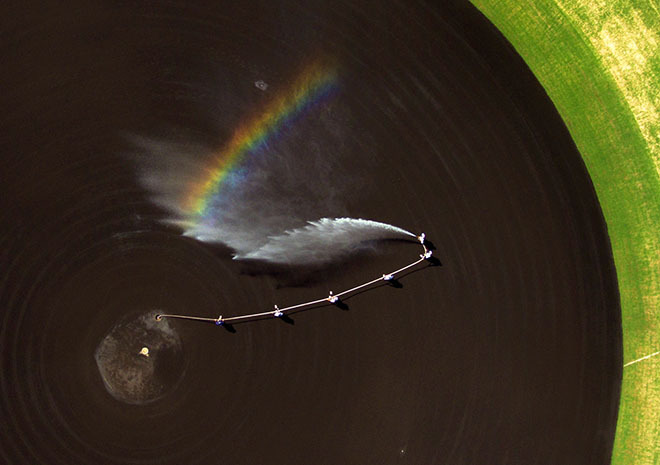 NISHINOMIYA, Hyogo Prefecture--As six groundskeepers carried a long hose together near the pitcher's mound and watered the dirt infield, a rainbow suddenly appeared in the long spray of water. For the winner of the 100th National High School Baseball Championship, which will start Aug. 5 at Hanshin Koshien Stadium here, glory and honor await, rather than a pot of gold. Members of the grounds crew are busy preparing the diamond for the two-week spectacle. The soil is being dug to a depth of 5 centimeters, which is more than double the usual, and then tamped down with rollers. The playing field, which has been heavily used during the spring high school tournament and current professional season, is aerated to revitalize its water retention ability. “Soil is a living creature,” said Kenji Kanazawa, facility manager of the stadium and a member of a gardening company, who has been involved in preparing the grounds for 31 years. Rakes level and smooth the dirt infield. To improve the flow of rain water from the surface, a subtle inclination is created. Careful preparations go into supporting the play of the nation's top high school baseball teams. “I will prepare the grounds so that high school baseball players who have dreamed of playing here will think that these are the grounds they aspired to,” Kanazawa said.